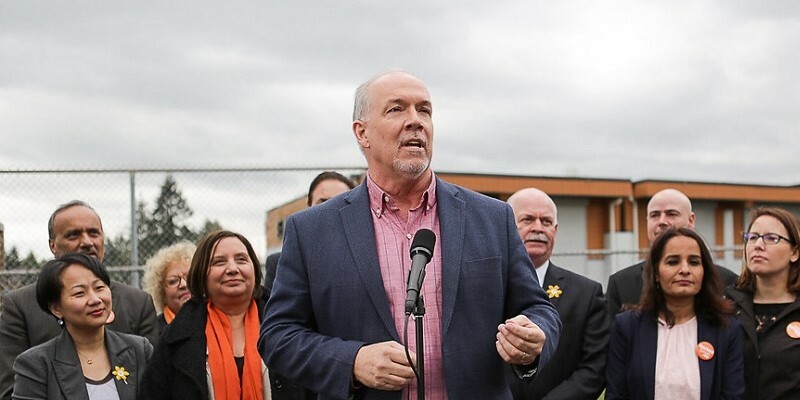 While the recent throne speech in British Columbia talked a great deal about new spending commitments for government-subsidized housing and daycare, it was silent on how Premier John Horgan’s NDP government, which campaigned on balanced budgets, will pay for it. Reality check: There’s little to no room in the budget for new major spending. According to the government’s second quarter update, a razor-thin surplus of $190 million is planned for the current fiscal year (2017/18). On a budget with total spending of $51.8 billion, this operating surplus amounts to just 0.37 per cent. And it doesn’t include the complete budgetary impact of ICBC’s financial woes. The throne speech musings about ramping up government spending is the latest hint that the Horgan government is set to depart from the relatively prudent fiscal approach adopted in B.C. since 2001. As our recent study found, B.C. currently enjoys one of the strongest fiscal positions in Canada because of modest annual growth in government spending over the last decade-and-a-half (compared to greater spending increases in other provinces). Specifically, our study finds that in a 15-year period starting in 2001/02, successive provincial governments in B.C. increased program spending, on average, 3.5 per cent annually. That was the lowest level of spending growth during that time period of any province. The range of annual increases outside B.C. was between 4.1 per cent (Quebec) and 6.0 per cent (Alberta). B.C.’s finances would be in much worse shape had the government increased spending as rapidly as other provinces over the period. For instance, had B.C. increased spending at the same rate as Alberta, the province would have only balanced its budget twice since 2001/02 instead of nine times, and last year’s $2.7 billion surplus would have been a $5.6 billion deficit. If the condition of B.C’s provincial finances deteriorates, new economic challenges will develop including increased uncertainty about future tax hikes to repay and service the borrowed money. This prospect, in turn, would heighten further competitiveness concerns in light of recent federal tax reform in the United States. Self-inflicted deficits during a period of economic growth would also make the province more vulnerable to major fiscal pain if the economy were to slow or be hit by a recession. Back in September, the government signalled that it plans to depart from the modest spending increases of the past, with a planned increase in spending this year of 6.6 per cent, which is nearly double the average annual rate over the past 15 years (3.5 per cent). This is a risky approach. And with the new spending commitments announced in the throne speech this week, it could spell trouble for B.C.’s finances and the wider economy.